Think of a scenario when you are asked to leave a place in India even after having an Indian nationality. Isn’t that strange? Well the reason that these places give is even more strange. Know more about it here. 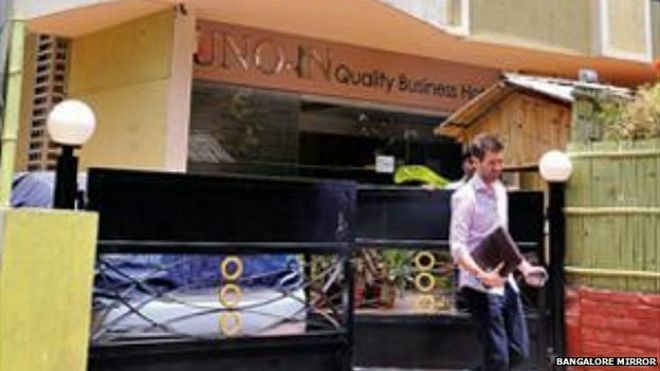 Uno – In Hotel in Bangalore insulted Indians!!! A Japanese only hotel in Bangalore, which allegedly did not entertain Indians and other foreign nationals in its restaurant, has been closed by Greater Bangalore City Corporation (GBCC) on charges for racial discrimination. It was set up two years ago in association with Nippon Infrastructure Company to attract corporate Japanese visitors and came into limelight when the staffs stopped Indians , British and Africans from entering the roof-top restaurant. A number of beach shack owners in Goa restrict Indian visitors. The reason is bit annoying as they say ‘ saving beachwear -clad foreign guests from lusty gazes, as only Indians are capable of lusty gazes. Well we can partially agree to this one. Free Kasol Cafe : No entry for Desis? A restaurant in Kasol refused to serve Indians. According to a post on Facebook by Stephen Kaye, the owner of Free Kasol an Indian himself refused to give the menu claiming it was a ‘members only’ restaurant. Stephen Kaye was given the menu and even he was not a member but his Indian friend was ignored. A Lodge in Chennai – Unfair to Indians! This lodge in Chennai , we believe it may refer to Broadlands Lodge in Triplicane. It is a former Nawab’s residence which serves people with foreign passports only. So unfair Mr. Nawab!!! Pondicherry is one of the famous coastal getaways in India after Goa. Something we Indians can take pride of when it comes to showcasing the beauty of coastal regions of India. But some of the beaches would allow only “Foreign Nationals”. Do you feel offended after reading this post? Express what you feel in the comment section below. 27 Perfectly Timed Photos That You Will Have To Look Twice To Figure Out What Exactly It Means!! !